Join Our Telegram Group, Win Exclusive Items! 1. 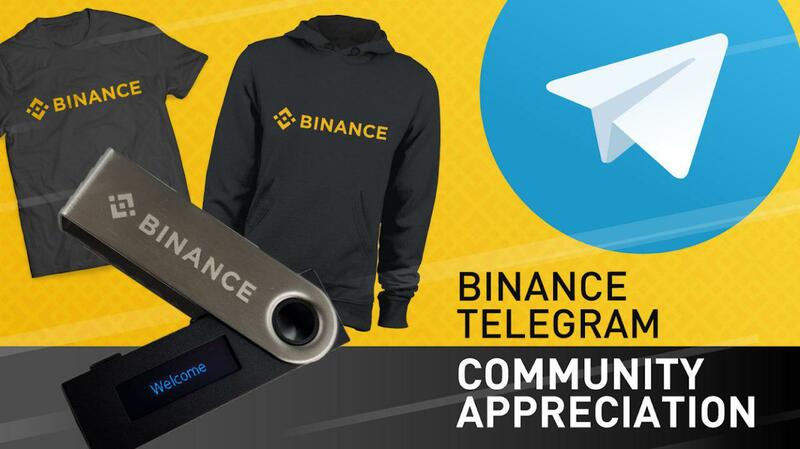 Join our Binance English Telegram community on or before February 11 (if you haven’t already) and be an active participant (minimum of 3 messages/day) for at least 3 days! We’re giving away one Ledger Nano-S hard wallet to one lucky draw winner, selected among active participants. Promo runs from February 5 (12:00 UTC) to February 19, 2019 (00:00 UTC). Winners will be announced during a live-streamed raffle on February 25, 2019. * Please comply with all the rules and regulations of the Binance English Telegram group. Being muted due to violations will reset your current points to 0. * Rewards will be distributed within 25 working days after the raffle. We’re also giving away one Binance-branded Ledger Nano-S hard wallet to a lucky winner who retweets the original tweet for this promo. Follow us on Twitter for more details.